Since its beginning in 1940, Jeep has been known for its durability, versatility, and capability. And this is what customers still expect today. But for a brand that has grown into one of America’s favorites, a lot of people do not know how it started and where it is headed. The Jeep legacy got its start in November 1940, during the beginning of World War II when it delivered its first four-wheel drive prototype to the US Army, formerly known as the Willy’s “Quad”. This vehicle boasted a whopping 60 horsepower and 105 foot-pounds of torque, which for its time was 20 pounds more than its competitors. From 1941 to 1945 the MB model was produced, which was known as the original go-anywhere, do-anything vehicle, which later became known as “Jeep”. These models became extremely popular due to their involvement with World War II, leading to the production of over 300,000 MB models. While the US Army continued to use the MB, a large amount (30%) of them were shipped to allied forces. Finally, from 1945 to 1949 the first civilian Jeep was created, the CJ-2A, also known as the “Universal”. While similar to its military counterpart the M-38, the Universal had features that those before it did not. Like a side-mounted spare tire, larger headlights, and a tailgate. And while it may be hard to believe, the retail price on these was only around $1,000 dollars. 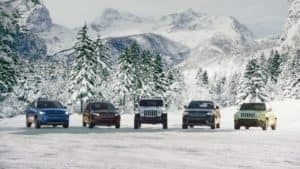 Fast forward to 2019, Jeep has now grown to include 5 top tier models: The Wrangler, Grand Cherokee, Cherokee, Compass, and Renegade. And unlike the Quad that only had 60 horsepower, you can now get Current Grand Cherokee models that have over 700 horsepower! While the Jeep fan base has grown exponentially, the technology that accompanies these vehicles has as well. Power windows are no longer a feature that customers should be impressed with. Times have changed, and so have our vehicles. Jeep has become a leader in technology, making sure their vehicles meet the wants and needs of their customers today. Don’t let all these technology upgrades fool you though, Jeep hasn’t gotten away from what got them to where they are. Their vehicles are even more equipped than ever before to handle the off-road, adventurous lifestyles their customers love. With improved suspensions, stronger engines, and top tier engineering, you can count on Jeep to get you where you want to go. There has never been a better time to become part of the Jeep family. With the vast amount of technology improvements, upgraded vehicle performance and vision for where the brand is headed, you are going to want to be a part of it. Jeep has already announced its launch for the All-New Jeep Gladiator, the first ever open-air pickup truck. 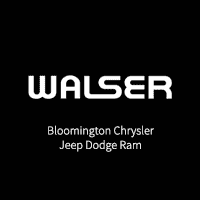 If adventure, performance, and durability is something you look for in a vehicle, then stop into Bloomington Chrysler Jeep Dodge Ram today and speak to one of our professional staff members.